Everybody can cook something. But it requires a high level of passion, creativity and know-how to create the sublime, the unexpected and the marvelous cooking of an extraordinary Chef. 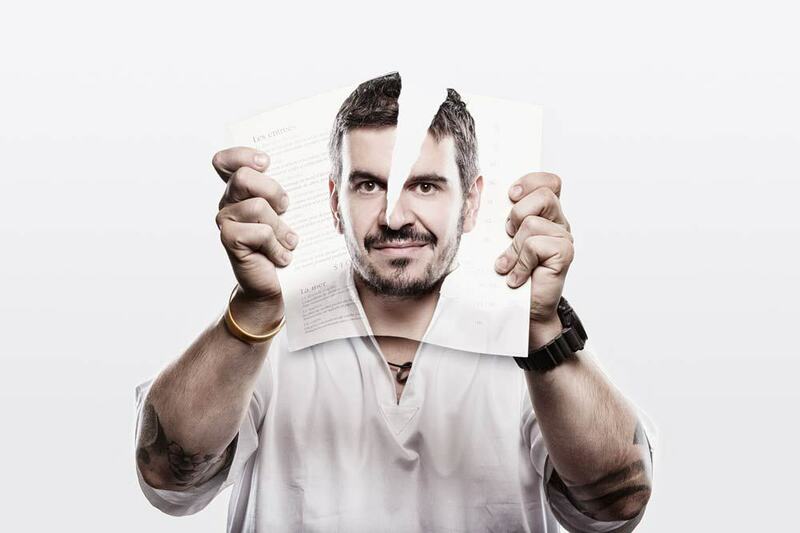 This is the case of Damien Germanier, an extraordinary Chef in Sion – Valais. 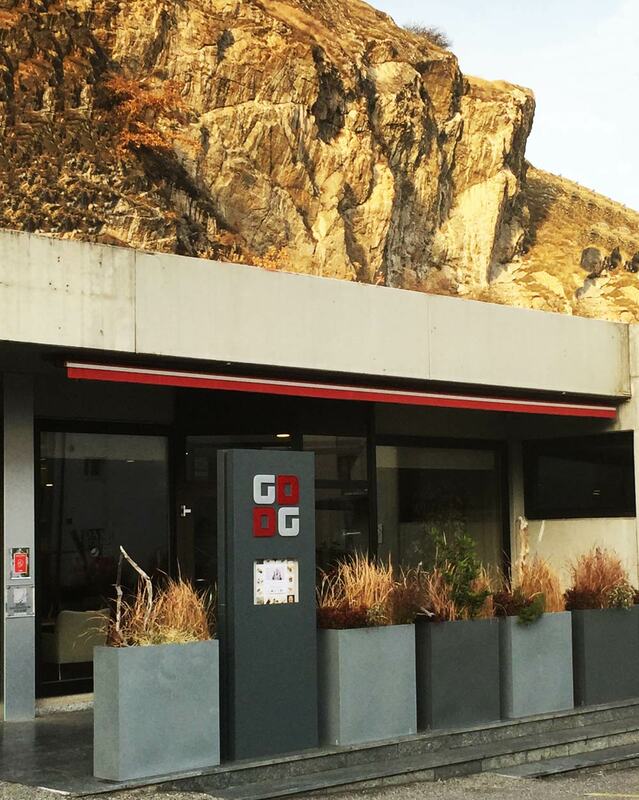 For Damien Germanier, his heart belongs to Valais. This talented Chef, not only applies his passion to his cooking but he also shares it with others thanks to the creation of cooking classes. 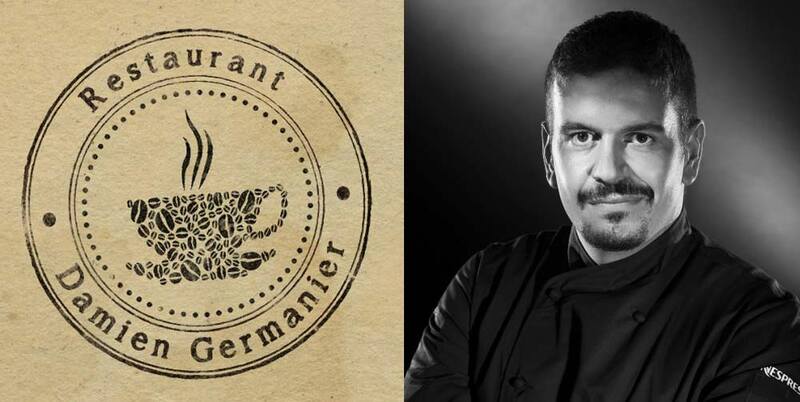 Damien Germanier has a precise and detailed cooking. 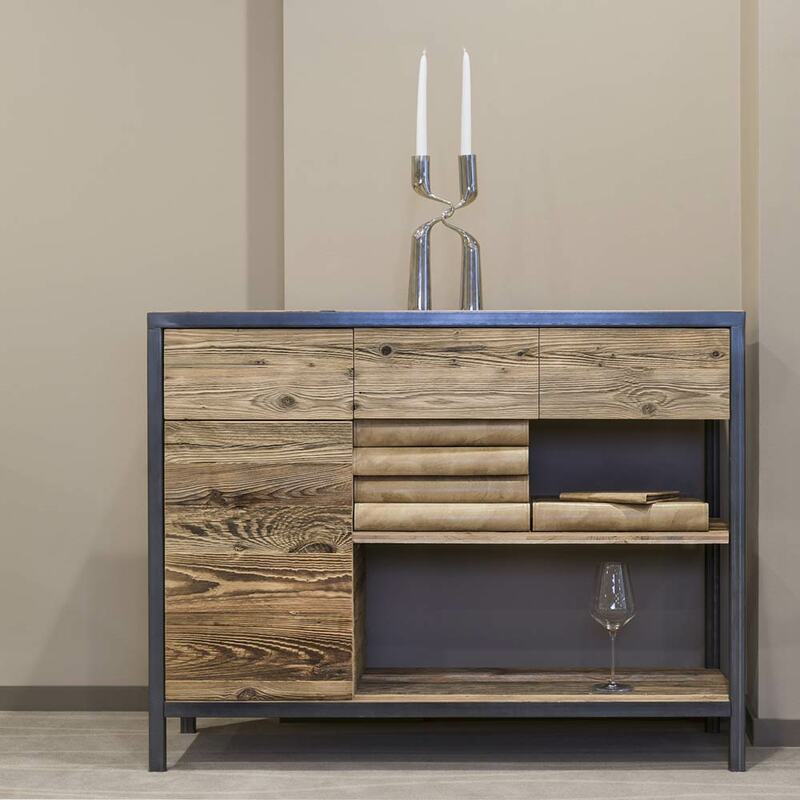 Every detail has its importance and play a role in the different master-pieces he creates. 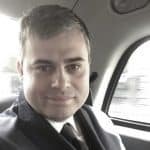 He is also very faithful to the masters who trained him during his apprenticeship and today he is definitely one of the golden stars in Switzerland. 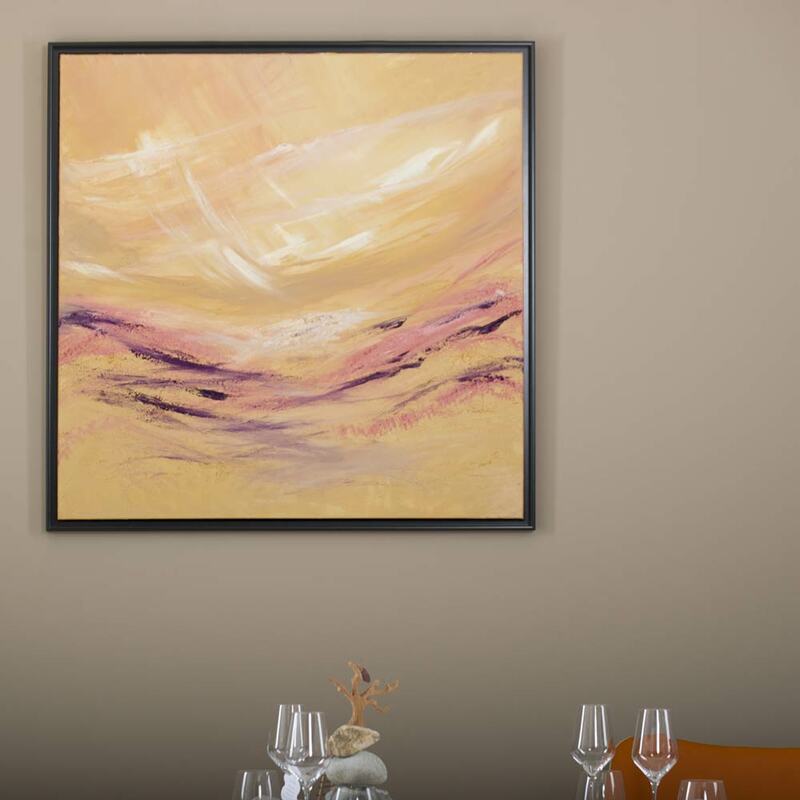 With his restaurant, Damien Germanier honors his region and welcome you in a place where everything is made to please your senses. 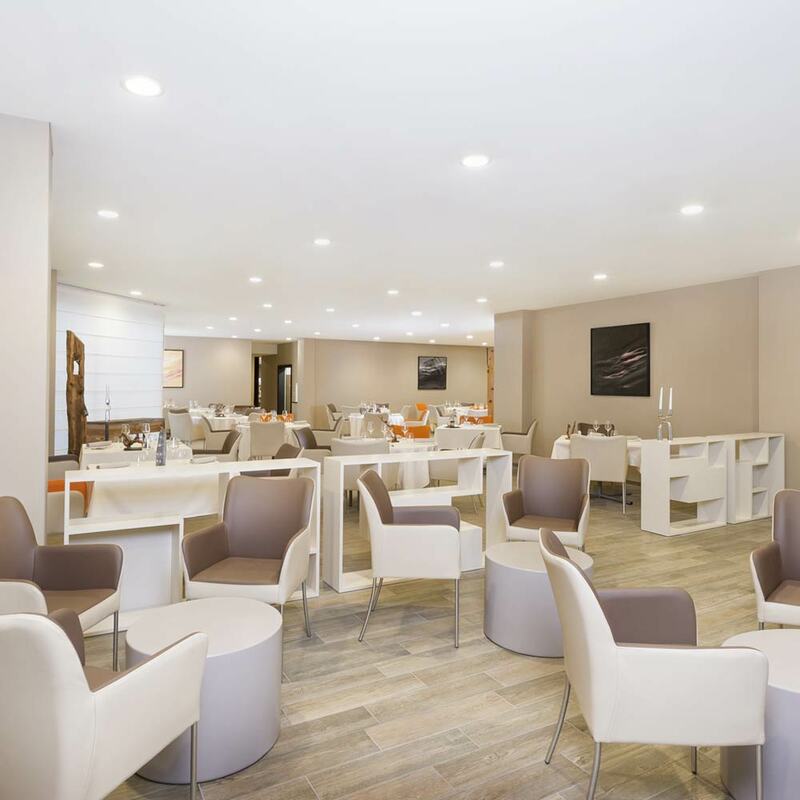 The first impressions you get when you arrive at Damien Germanier’s restaurant is a feeling of modern comfort. There is a positive ambience in this restaurant we can sense that all customers are happy to be there. We could say the same thing about the employees. They are young, ultra-competent and happy to serve you in order to provide a great experience. Damien Germanier is an innovator and never hesitate to cross the boundaries of established rules in order to make something sublime. One of the first interesting points about his art is the menu. Well, there is no menu. You basically tell him how many courses and your tastes and he will innovate and take you into a delightful journey in his imaginary universe. By erasing the strict limits of a menu, Damien Germanier gets the freedom he likes. He can work with the very best ingredients he finds each day and customers will be positively surprised by the tasteful discoveries. It is a daring approach but it goes along the personality of the Chef. How could we describe Damien Germanier’s culinary art? From what we saw and tasted, it is a magical blend between simple great quality ingredients from the season and a specific ingredient that will twist your perception. It can be Vietnamese pepper or mint. Damien Germanier finds the perfect balance between these ingredients to provide you an unique experience. 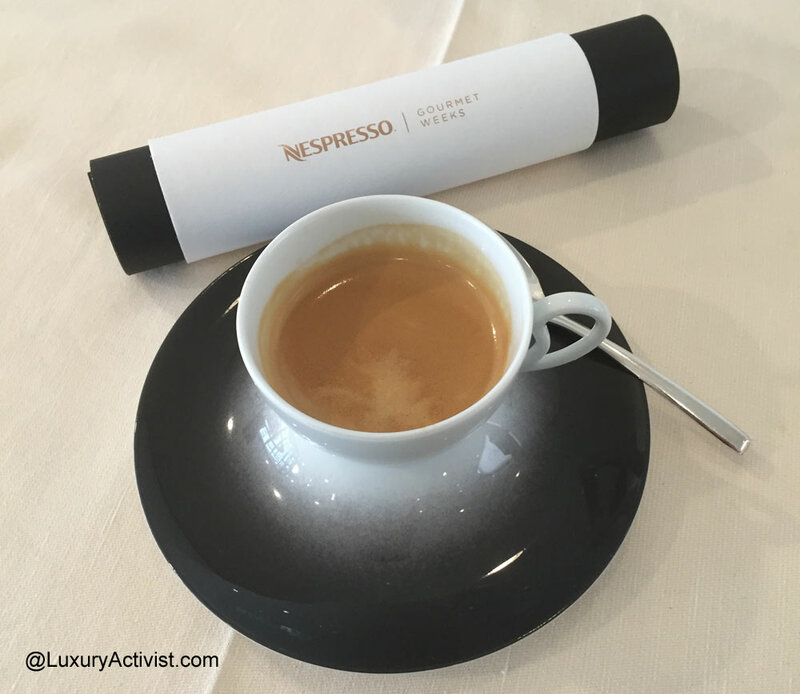 LuxuryActivist had the pleasure and the honor to experience lunch time there in the context of the Nespresso Gourmet Weeks. 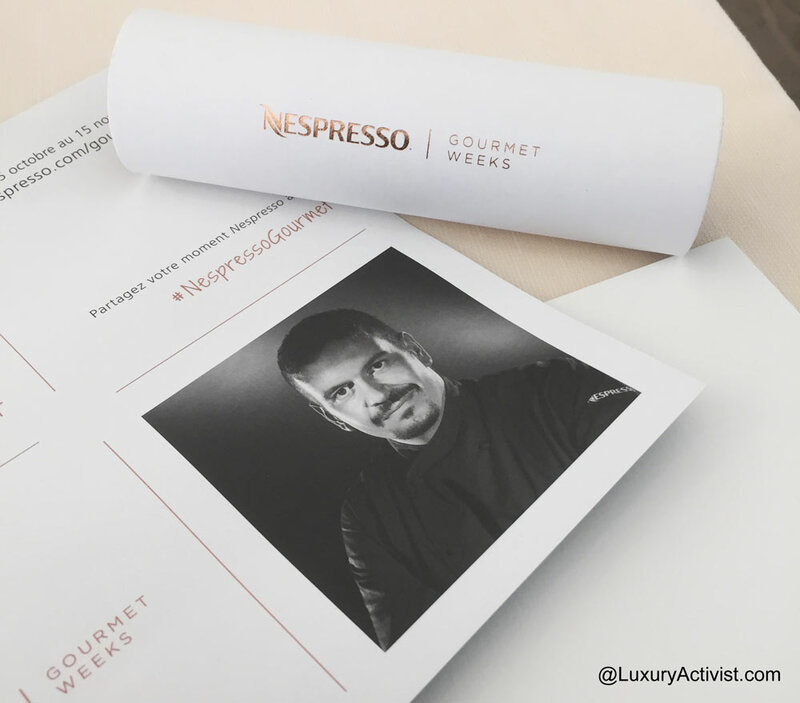 Since 2009, Nespresso organize the Nespresso Gourmet Weeks in partnership with Gault et Millau. The main objective is to celebrate passion around good food through local amazing talents. In Switzerland, Nespresso cherry picked 15 restaurants, all amazing talented chefs. During this week, the chosen talents get inspired by Nespresso Grand Crus and incorporate them in a specific menu. So here are the following dishes we got to taste during an amazing lunch in Sion. As you will see, the textures, colors, tastes are all studied at the smallest millimeter, so that you will get a full experience of what is the true culinary art. Tarte Coulante à la Courge, émulsion au Lungo Origin Guatemala. Potimarron confit, sa crème glacée butternut et noix de Muscade. A blend of Arabica and washed Gourmet Robusta coffee, Lungo Origin Guatemala is a smooth and balanced blend with intense dry and malty cereal notes underlining its bold character. A fine Arabica from Guatemala brings a delicate balance, rich complexity and a silky texture to this lungo, while a specialty washed Robusta that is carefully and selectively processed, imparts structure and smoothness. The latter also reveals the typical cereal taste of Robusta, clear but non-aggressive. 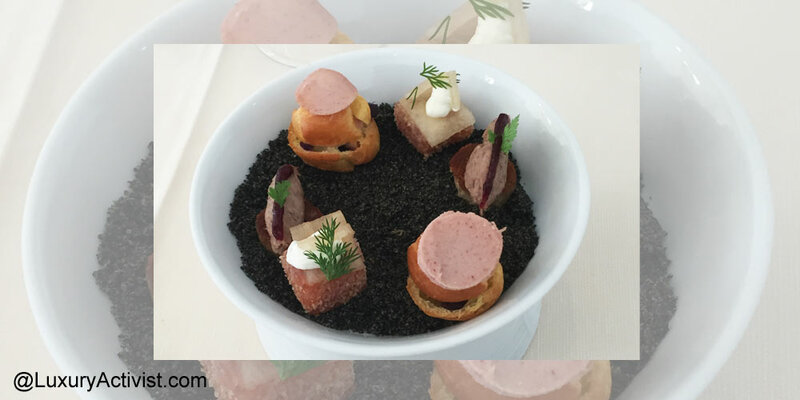 With this first dish, Damien Germanier proposes a lively experience to put you in appetite. 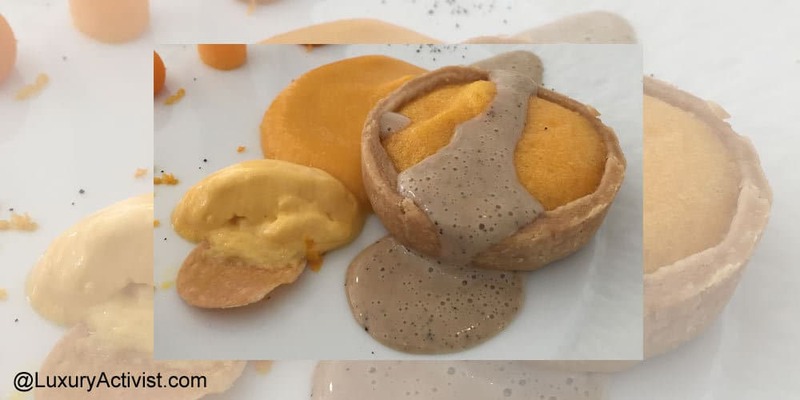 A Sinking Squash mini-pie highlighted with a Nespresso Lungo Origin Guatemala coffee emulsion. The candied Potimarrons were amazingly served with a butternut ice-cream and nutmeg. It was interesting to start with this combination as it opened up our senses and the water-mouthering effect put us in the perfect mood to start our meal. Not in the menu but all aligned with the free spirit of the artist in the kitchen. Despite the fact we had a specific menu, Damien Germanier always follows his intuition and delivers the best experience you could imagine. So we were lucky to experience a very creative approach and got extra courses for the pleasure of our eyes and taste. From the Amuses-bouches to start followed by a Beed-carrots and a great scallops, our culinary journey was one of the bests ever. The way we started lunch gave us immediately the full scope of what we would expect from such a talented Chef. 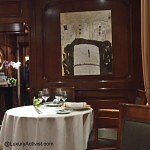 He completely deserves is score at the Gault Millau and Michelin. When you like what you do everybody can see it. In the case of a Chef, you can taste it as well. Carré de veau dans l’esprit d’une balade en forêt. Parfum de sapin, baies et champignons, Liqueur de thym maison. With this dish, Damien Germanier expresses all the poetry about nature. 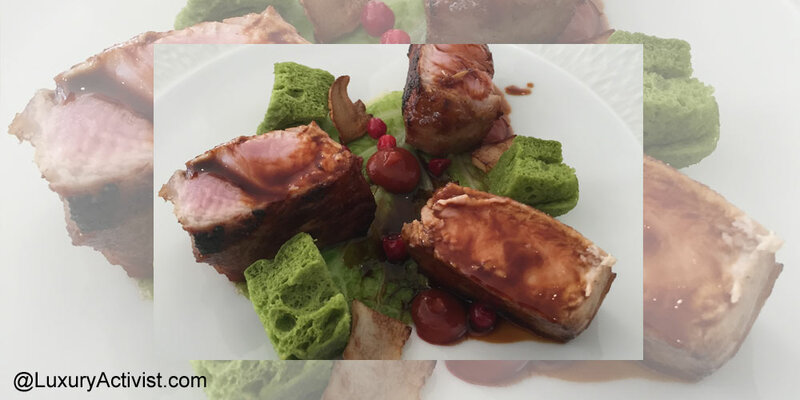 With this highly qualitative Veal rib roast, our Chef tried to translate the beauty and the colors of a “walk in the woods”. The veal is underlined by Pine fragrance, red baies and mushrooms and a homemade thyme liquor. Little pieces of bread were tainted in green in order to give you the feeling of the woods vegetation. Outstanding. 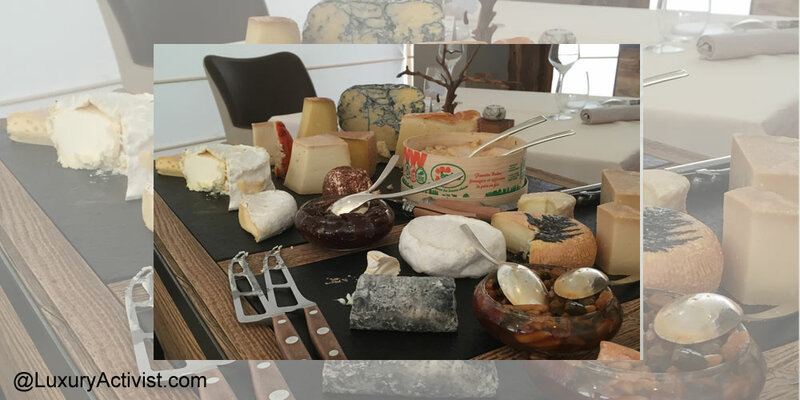 Before the dessert, we needed to highlight the Cheese-plateau of this restaurant. Purely wonders. Vacherin, Gruyere and others Bleues were populating the “Chariot à Fromages”. The person serving it was ultra-competent in the matter and could guide you to the best choices based on your tastes. State of the art. 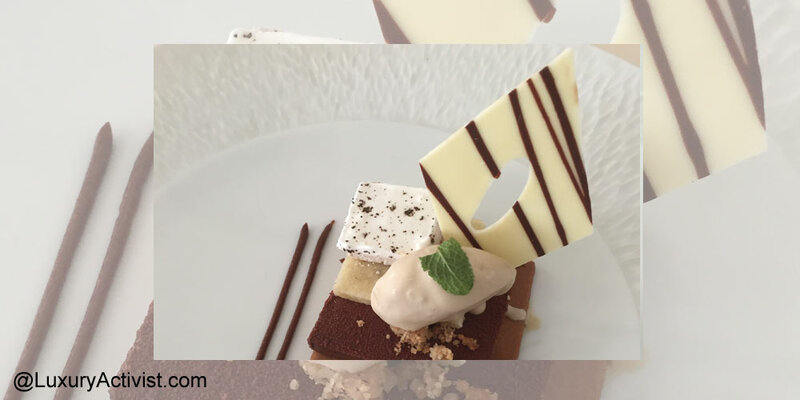 Déclinaison autours du Dulsâo do Brasil: Fine Pana cotta, Tuiles et ganaches, Crème glacée. A pure Arabica coffee, Dulsão do Brasil is a delicate blend of red and yellow Bourbon beans from Brazil. Its satiny smooth, elegantly balanced flavor is enhanced with a note of delicately toasted grain. Subtly sweet, red and yellow Bourbon coffee beans are grown in the hill-top plantations of southern Brazil. They are harvested by hand, then pulped and sun-dried to allow the mucillage sugars to infuse the bean with a mellow flavour. Damien Germanier tried to play with contrasts with the Chocolate, pana cotta and ganaches. Very graphic designed and also very surprising in the mouth. The little mint leave was a true explosion in the mouth by blending with the warmth of the other ingredients. What a marvelous way to finish a lunch. Last but not least, we finished with a Nespresso Grand Crus coffee and it was the wrap-up. If you wish to visit this amazing restaurant and discover the great Chef, here are the practical information you will need to know. As you imagine, it takes time, talent and a strong character to get to this high-end level of culinary art. 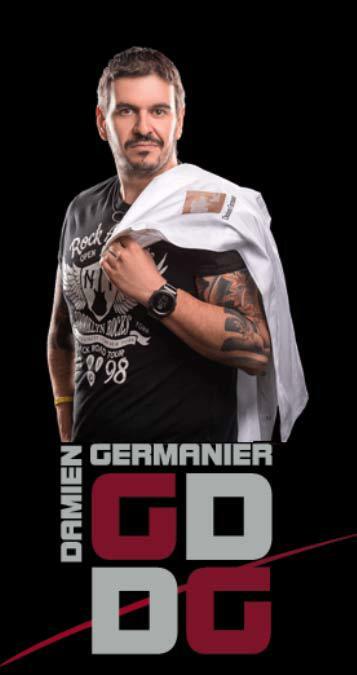 Damien Germanier is an amazing Chef and deserves his 17/20 score on Gault et Millau guide. 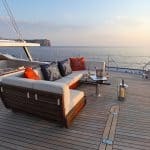 Info sourced at Damien Germanier website, Nespresso website and CoolBrandz. Many thanks to Eileen Schuch for the very generous invitation and a great thanks to Damien Germanier for his welcome and generous talent. All content is copyrighted with no reproduction rights available. All images are for illustration purposes only. 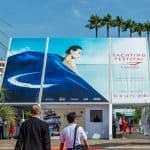 Nespresso Gourmet Weeks, for hedonists and food lovers. Le Pont de Brent by Stéphane Décotterd. 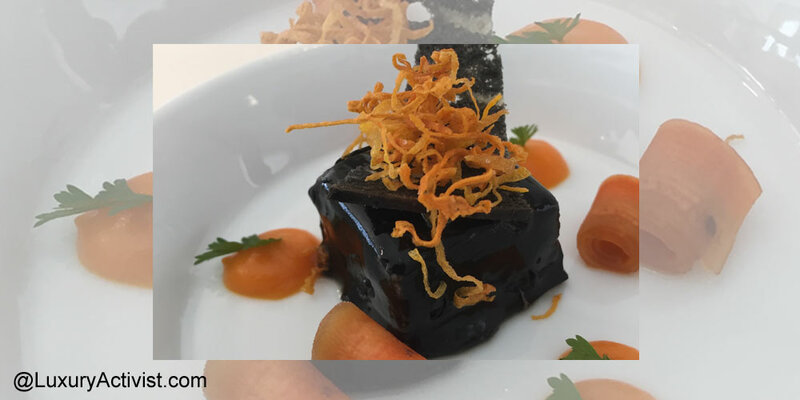 Passion at all levels – Nespresso Gourmet weeks. 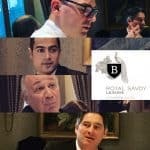 Exclusive interview – Stéphane Décotterd, Swiss Chef at Le Pont de Brent.